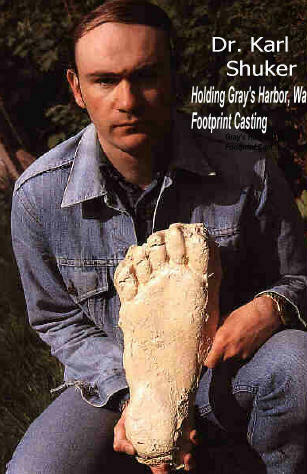 Dr. Karl Shuker holding the "Gray's Harbor Footprint," which was cast by Gray's Harbor Deputies of tracks found in April - May of 1982. Gray's Harbor Sheriff's Dept. Washington State.